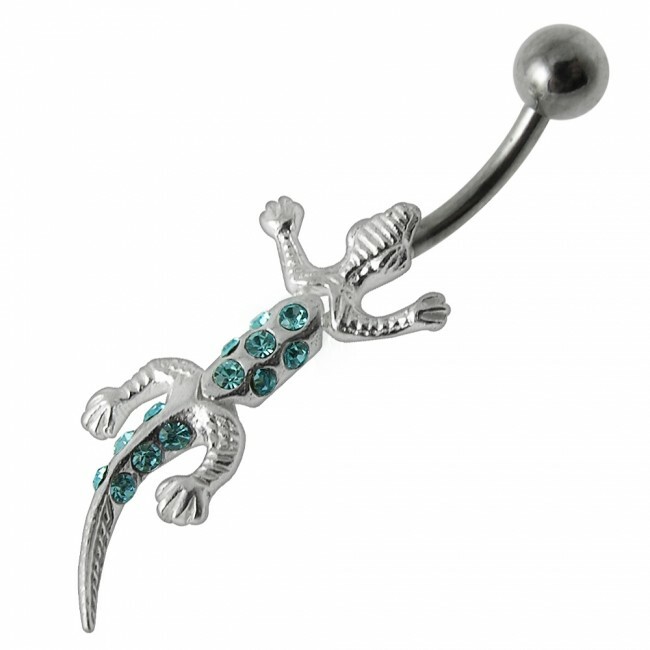 Complement your flat belly as you slip on this 925 Sterling Silver Moving Fancy Lizard Belly Ring. Studded with colorful crystals, this belly ring replicates a lizard at its dangling end. It features a 316L Surgical Steel bar, a 316L Surgical Steel ball and a 925 Sterling Silver charm part. It is available in a standard size: 14 G-10mm-5mm.